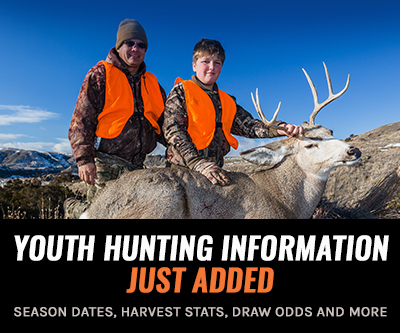 To show our appreciation to our INSIDER members, the goHUNT team will give away even more great products in November. This month we have 5 winners. Each winner will get a Browning X-Bolt Hell's Canyon Long Range rifle in the caliber of their choice. (Valued at $6,350). So, what makes these rifles so special? The X-Bolt Hell's Canyon Long Range Hunter provides extreme accuracy and is also built to take on any tough hunting situation. 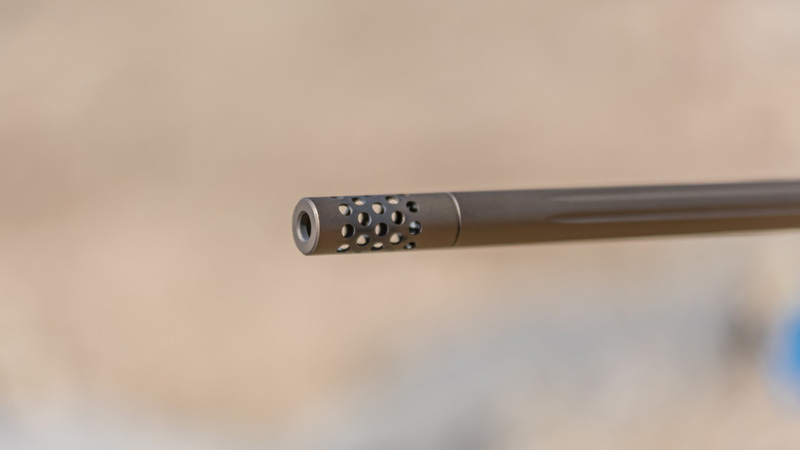 These rifles have a 26" heavy sporter fluted and free floating barrel that is fitted with a muzzle brake (Note: the muzzle break is easily removed to allow a suppressor). Also, the Dura-Touch coating provides a solid hold in wet hunting conditions and has an easily adjustable Feather Trigger. Browning X-Bolt Hell's Canyon Long Range hunter barrel in a 28 Nosler caliber. This rifle straight from the factory can produce sub-MOA groups. For more information on how accurate a factory rifle can be, you can check out this video we produced last spring. The rifle used in that video was a Long Range Hunter in 6.5 Creedmoor. Weight 7 lbs. 3 oz. 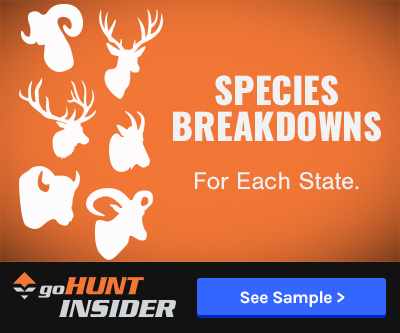 Each month random names are pulled from our list of INSIDER members and we give away awesome gear items like rifles, optics, apparel and even landowner tags. All INSIDER members are automatically qualified for a chance to win one of our giveaways — no action needed. In recent months, we have given away twenty (20) Klymit KSB 0° Down Sleeping Bags (retail value $5,000), six (6) Mystery Ranch Metcalf backpacks (retail value $3,150), six (6) Leupold riflescopes in their Vx-3i line (retail value $1,299), ten (10) Canyon Coolers in their Outfitter 75 series (value $350 per cooler), five (5) Browning X-Bolt Hell's Canyon Speed rifles (retail value $6,350), five (5) head-to-sets of First Lite (retail value $5,490), and twelve (12) pairs of Kenetrek Mountain Extreme boots (retail value $5,940). Check out all of our INSIDER giveaways here. All INSIDER members are automatically entered into monthly giveaways. I generally have no luck for this sort of thing so I rarely pay attention. But this one got my attention, so I am hopeful. fingers crossed! Hey Justin. Technically there's no age limit per say... you can be 95 years old and still win :) But, because this is a rifle giveaway, you'd have to be over 18 years of age to get a rifle sent to you if you won, due to the Gun Control Act federal law. Hi Isaac. That is correct. Once your trial ends and you become a full member, you'll be eligible to win this months giveaway. 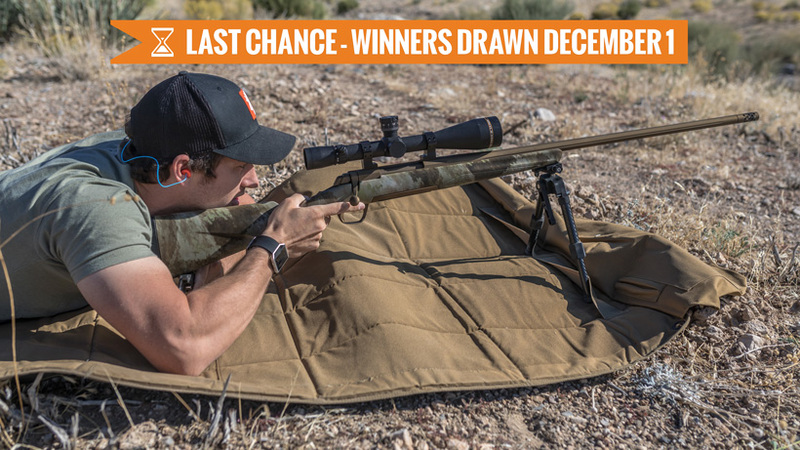 If you can't remember when your 30 day trial is over and you want to become a member early, you can still do that to ensure you get in for these rifle giveaways. You can always shoot any of us an email before the end of the month to fully confirm you're in. Hope you have a great day. When my 30 day free trial up and the money is charged to my card , will I be entered to win? Mainly large calibers. This model X-Bolt is available in the following calibers: 6mm Creedmoor, 6.5 Creedmoor, 270 WSM, 300 WSM, 26 Nosler, 7mm Rem Mag, 28 Nosler, and 300 Win Mag. Does this come in a 55.6 or a 22-250 just wondering or are they all large calibers. How many insiders are there? OMG. Prize of a lifetime! There are going to be 5 very lucky people. Good luck all. This is a great organization, keep up the good work! So awesome! I hesitated for far to long to join this! I️ love it!! Hmmm....choice would be 6.5 Creed. Yes! Time for a new rifle would ne now!!!! Incredible! Love it! Thanks gohunt! On my wish list! What an awesome give away!